TWIN PEAKS ARCHIVE: Exclusive Galyn Görg Interview! Twin Peaks Archive: How did you first get started in acting and how did you become a dancer in Italian TV show Fantastico? Galyn Görg: I lived in Hawaii and my parents were part of a theatre group, so I first got involved in theatre. When we moved to Los Angeles I was going to auditions in Hollywood, and I saw an advert in Variety. I was going to so many auditions, and this was just a huge cattle call. They put us on tape, and I wasn’t sure what it was for – they were so vague I wasn’t sure what it was. They called me from Italy and had me send out some footage. I had been dancing in music videos, so I sent music videos and then they sent for me to come to Italy. I met with Pippo Baudo, who’s a really famous personality in Italy. He liked me, so I started doing the show. TPA: How did you get the part of Nancy O’Reilly? GG: I must have auditioned. You go on so many auditions they kind of blend together. David Lynch was around, and Mark Frost who cast me in another film he did called Storyville, with Jason Robards and James Spader. TPA: Did you enjoy playing the part? GG: Yeah. I enjoyed playing a character that’s in a world that’s so different from mine. She’s in a seedy world of shady characters and making her way through that. That’s always fun, it’s almost like children doing make-believe, so you get to really use your imagination to create a back-story, and create philosophies and ideas for that character. TPA: What back-story did you create for Nancy? GG: She’s kinda desperate – most of those characters have a desperate quality to them. So I made a back story, I don’t remember the specifics, about her having a really rough upbringing – maybe being abandoned by her mother and being really needy, getting herself lost and hanging around with people like Jean Renault. TPA: What were the rest of the cast like? GG: They were great. I like working with actors where it doesn’t matter about your background. My acting teacher used to always say that when you happen to be on a film or on television or in theatre, it doesn’t matter who’s famous or what credits anybody has, you’re all actors and you’re all on the same playing field because you’re trying to create something on behalf of the characters and on behalf of presenting it to an audience. I remember Kyle (MacLachlan) specifically because he was really cool and made me feel really comfortable. When you go on a new show and you don’t know anybody, it’s a little awkward to adjust to people. It’s like bringing a new actor into your company for a short time. I remember he was really warm and friendly and cracked some jokes with me in between takes. He was really welcoming. Michael Parks was great, a very giving actor, very professional. 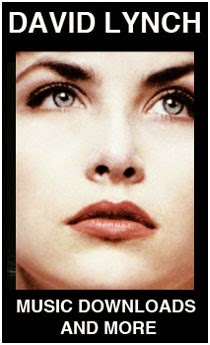 Sherilyn (Fenn) was more to herself, I remember. No bad vibes or anything – she was sweet and kind, just a little more reserved. TPA: There’s a scene where you slap Don Amendolia on the head – was that scripted or was it something you came up with? GG: I don’t remember specifically – I probably have that script in a box somewhere. Whenever I do something I always try to add my own little touch, with respect to the writer and my character. If I feel something in the moment or create something for the scene that I think is going to work I will throw it in. If the director doesn’t say anything then I suppose it’s okay. TPA: What was it like filming the fight scene with Cooper? GG: I remember we had to rehearse it quite a few times so that it looked natural. Everybody was so professional that we moved pretty quickly, but it did take a little time to choreograph. It was a collaboration; Kyle would say ‘What about this?’. Then I’d say ‘What if I turn this way and look at you that way’ and we all three (Galyn, Kyle & director Graeme Clifford) worked together, so that it looked real. TPA: Did you have any stunt doubles for the fight? GG: No stunt doubles for that. TPA: Were you in any scenes that were cut? GG: I don’t think any were. I don’t remember anything being cut. TPA: Did you want your character to return to the show? GG: I hoped she would come back because I loved being on that show; it was just different to anything else that was on television at that time. But I was really happy when Mark Frost brought me in to audition for Storyville. It was a small part, but it was a juicy part. TPA: How did that compare to working on Twin Peaks? TPA: Have you been to any fan conventions for the shows you’ve been in? GG: I haven’t. People have invited me to conventions, but I’ve never gone. Maybe one day I might check it out. TPA: What’s next for you? GG: For the last couple of years I was back in Hawaii, but now I’m back in Los Angeles. I’m studying right now in a series of drama classes, really getting my chops back in shape again. I had to take a break from it, I kinda burned out, but I’m excited about it again. I definitely say the sci-fi and adventure stuff is my favourite, I like the fantasy aspect of it. I love the real character roles, so hopefully I’ll get to do some of those. There’s a show on Saturday nights, Legend of the Seeker, by the same people who did Xena and Hercules – I’d like to play an evil queen in that! Interview conducted by Graeme Larmour exclusively for Twin Peaks Archive. TPA thanks Galyn for her time!